Originating from Egypt, cumin has been used and enjoyed as a spice but also as a part of medicine in lots of Mediterranean, Middle Eastern, Chinese and Indian countries. It’s also commonly used in chili spices and curry. In fact, it is so widespread that you probably even have it at home, but keep avoiding it. Well, that needs to change! Cumin has been proven very beneficial in treating anemia, constipation, acid reflux, indigestion as well as many other health problems. 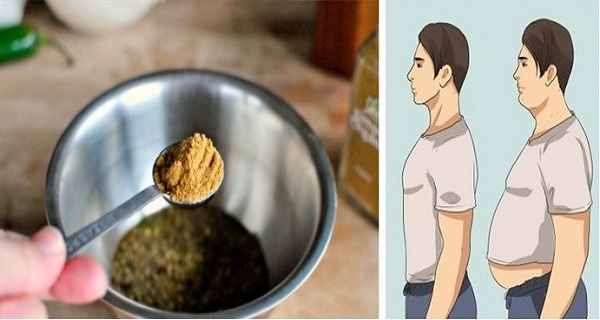 But besides its medicinal benefits, cumin can also be very helpful if you want to lose weight. In the recent edition of Complementary Therapies in Clinical Practice, you can find a research made by Iran’s ShahidSadoughi University of Medical Sciences which included a group of 88 obese and overweight women that were a part of a weight loss experiment. They were split in two groups. Each of the groups followed a diet with reduced calories and received nutrition counseling. The only difference between the groups was that the first one got to eat yogurt with three grams of cumin every day, while the second one got only plain yogurt. After only three months, the group which consumed cumin managed to lose 50% more weight than the group which ate only plain yogurt. Also, their body fat percentage was decreased by 14.64% which was three times more than the other group. Plus, they managed to lower their body mass index and waist circumference much more than the second group. Based on these findings, it was observed that the weight loss abilities that cumin has are due to fact that it temporarily increases the metabolic rate. The researchers also suggested that cumin could be considered as a viable treatment for metabolic syndrome. In this research, it was also observed that cumin can successfully reduce the blood lipid levels. It managed to drop triglycerides by 23 points in the cumin group, while only 5 points were observed in the other group. It also dropped the LDL cholesterol by an average of 10 points, compared to only 1 point in the other group. According to their findings, the researchers concluded that cumin may help prevent some conditions associated with high triglycerides levels like diabetes, heart disease and atherosclerosis. Furthermore,it was found that the cholesterol lowering effect that cumin has is partly because of the glycoside saponins it contains. They prevent cholesterol to be absorbed and increase its excretion. These compounds are also found in black cumin and they have other useful properties like: anti-oxidant, anti-carcinogenic, anti-coagulant, anti-inflammatory, neuroprotective, hepatoprotective, immunomodulatory and hypoglycemic properties. Among its many beneficial ingredients, cumin also contains a large amount of phytosterols which can positively modulate lipids by reducing the absorption of cholesterol. The Annuals of Nutrition and Metabolismjournal also published a study which claims that if overweight people take cumin cyminum L. capsules, it may cause the same effects as orlistat120. In case you are not familiar with it, orlistad120 is a drug which acts as a gastrointestinal lipase inhibitor and manages obesity by inhibiting the absorption of dietary fats. Cumin had very similar effects to this weight drug, but also an even better effect on insulin metabolizing. There are million ways to integrate cumin into your nutrition. You don’t have to put it in yogurt if you don’t like that. Try seasoning your chicken with it, mix it with your eggs in the morning, add it to your roasted vegetables or just add a pinch into a vegetable soup, the choice is yours. Add some cumin seeds in water and let them boil, then leave them to steep for 8-10 minutes and your soothing and warming tea is done.